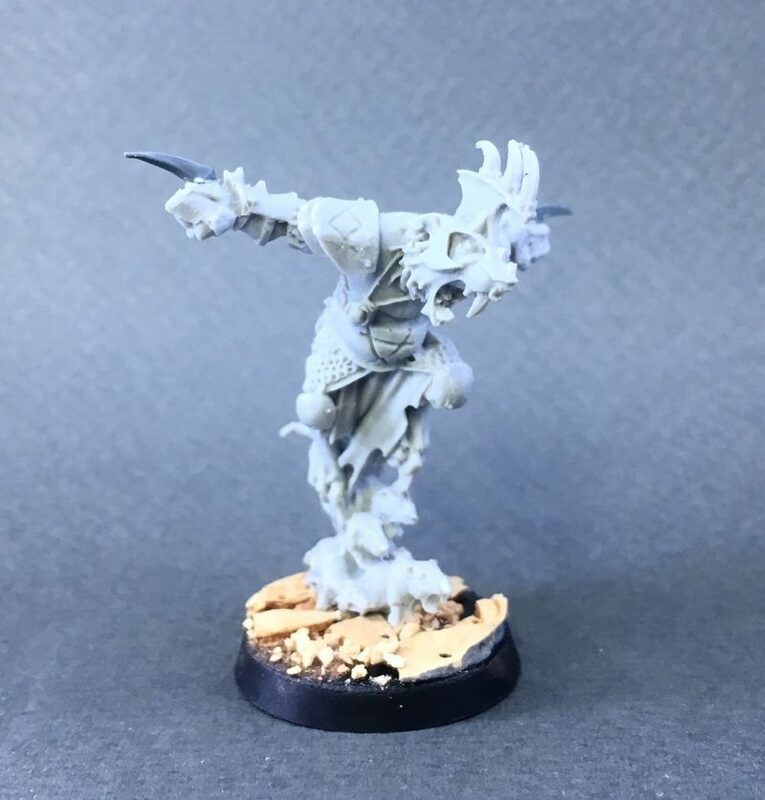 Over the last two years or so I’ve collected cool looking Skaven character models knowing I would eventually make an Underworld or Skaven team. 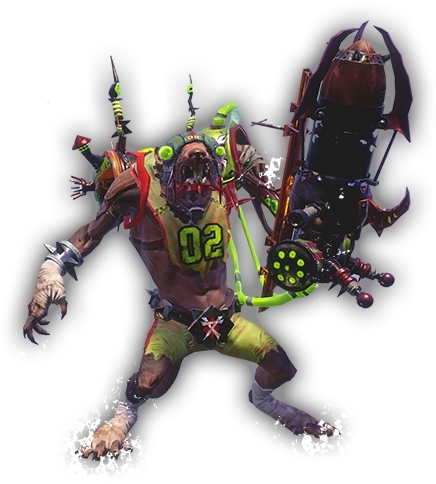 This is another benefit of a Blood Bowl team – you can use only the best models out there to build it! As these kits were already waiting to be hacked up it made sense to start the team with the players I’d be making from them – the two blitzers and one of the throwers. 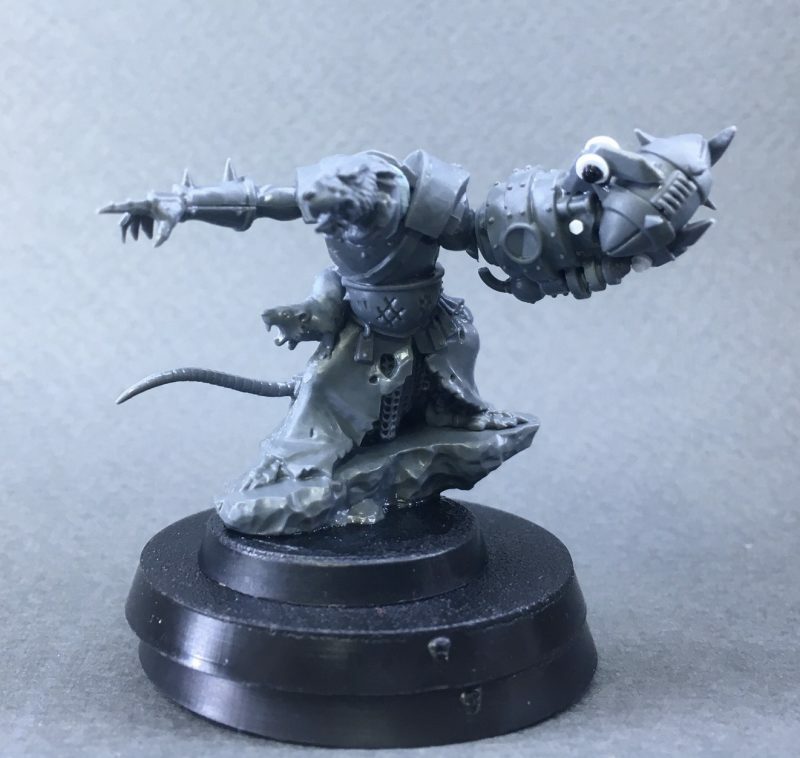 This leaping Skaven warlord is a very cool model (despite being cast in the “failcast” resin that GW later abandoned) and makes a perfect blitzer just by snipping off its weapons . I added a couple of punch daggers cut from some of the new Human blitzers, but otherwise the base model is untouched. I did however magnetise the right arm so the blitzer has the option to develop a claw mutation. 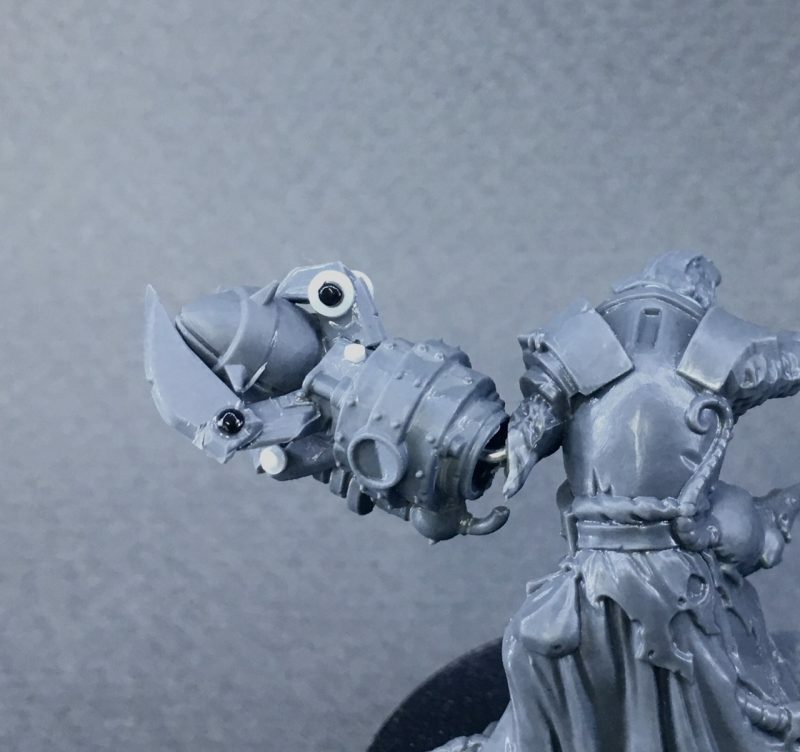 The claw arm is taken from the Putrid Blightkings kit and attached to a Human blitzer shoulder pad. The blitzer will also have a swappable head (most likely to develop the horns mutation) and a magnet location for a third arm. The contraption on my thrower is a little different, being more of a combination grabber/launcher as I wanted articulated mechanical fingers. I used a part from a 40k Ork “tellyporta” as the base of the device, glued the ball to the end of it then built up the fingers one piece at a time using bits of swords/knives. Once one part of a finger is glued in place, I could then cut and dry fit the next before gluing it down, and once that was dry I added joints and rivits using slices of plasticard rod and tiny half round beads. All this takes is a bit of patience and the right materials. I joined this to the elbow of the stock model with a long wire pin and modelling putty and will sculpt the join properly at a later date. The thrower model is one of GW’s more modern plastic Warlord. His pointing pose is perfect for a thrower. Apart from the mechanical arm, he too has a swappable head (possible two heads mutation) and a concealed magnet for a third arm.